The call by protesters in Bangkok for a massive rally on Jan. 13 has dampened the expectations for what had promised to be a break through 2014 in Thai tourism. On Jan. 13 protesters plan to block 20 major intersections in Bangkok to prevent a national election called for by Thai Prime Minister Yingluck Shinawatra. Tourism is one of the country’s most vital economic engines. The Tourism Authority of Thailand’s (TAT) new governor, Thawatchai Arunyik, began his tenure on Dec. 22 by expressing gratitude to those tourists who continue coming to Thailand in spite of the present state of political flux. The TAT continues to remind its travel industry partners that no tourists have been hurt in the protests. The TAT expects the final visitor count for 2013 to reach 26.1 million, which would be 1.6 million more than they predicted in June. 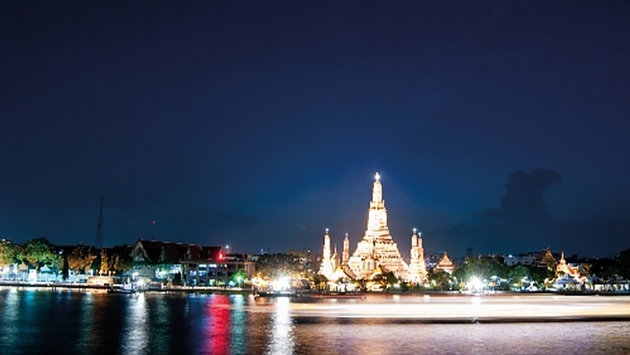 The TAT has also been projecting a target of 28.01 million for 2014, but new predictions from the National News Bureau of Thailand are predicting a 10 to 12 percent drop in visitation this year. The health of tourism in Thailand depends entirely on where you are. Bangkok, where the protests are centered will certainly lose tourists, but Thailand’s island tourism will probably do better than they had planned. Phuket remains extremely popular with European travelers who can fly directly into the island. According to Phuket International Airport (PIA), a total of 40 regular and eight charter airlines are operating 451 international flights daily, up from 301 flights during the 2012-13 winter period, which runs October to March, representing a 27 percent increase over the 2012/2013 winter period. It’s not the first time Phuket has actually benefitted from social unrest in Bangkok. Phuket provides a complete destination with many attractions and activities. Even its large inventory of 42,000 rooms is being taxed by the Bangkok situation. Phuket continues to add hotels and PIA is being expanded to handle 12.5 million passengers per year, up from its current 6 million. The problem now is a shortage of rooms to meet the demand. Islands like Krabi and Phang Nga are already completely booked for Chinese New Year (Jan. 31) and Phuket is already 90 percent booked. PDRC leader Suthep said the group plans to station people at the intersections all day and night on Jan 13. The PDRC will also hold rallies between Jan 5 and 8. Some of the targeted intersections are near tourism areas including Ratchadumnoen Avenue, Khaosarn Road, Silom, Siam Square, Lat Phrao and the Pratunam, Lumpini and Yaowarat. Despite this the PRDC leadership promises to avoid airports or public transport during the shutdown. In 2008 Red Shirt protesters closed down Bangkok's main airports, stranding thousands of tourists.